Compact, light and rugged – Leica have raised the bar with the new generation 42 mm models in the Trinovid HD family. In their class, the Leica Trinovid 8x42 HD and the Leica Trinovid 10x42 HD binoculars with Leica HD optics offer ideal and previously unattained viewing quality for outdoor and wildlife enthusiasts. Thanks to the new optics, Trinovid HD binoculars guarantee an exceptionally bright and clear view, pin-sharp resolution, superb colour fidelity and perfect contrast. The ideal balance of high transmission and a bright viewing image with natural contrast and colour rendition guarantees breath-taking viewing experiences and unhindered enjoyment of the natural world, even in unfavourable light, on cloudy days and during twilight. For the first time, the Leica Trinovid HD models are supplied complete with a new and innovative carrying strap - the adventure strap. The strap also serves as a bag and ensures that the binoculars are perfectly protected and ready when you are. As a bag, it is extremely rugged and hard-wearing and is made of water and dirt-repellent neoprene. The adventure strap combines the advantages of a carrying strap & harness together with a bag that’s always ready when you are offering complete protection in one, making it ideal for use when trekking. The absolute reliability of the Leica Trinovid HD binoculars in everyday use is guaranteed by perfect ergonomics and particularly durable special armouring. Further advantages are their low weight and compact design that rests in the palm, the most stable part of the hand. The new Leica Trinovid binoculars also offer outstanding close range viewing (Trinovid HD 8x42: 1.8 m/Trinovid HD 10x42: 1.6 m) and a wide field of view at all distances. 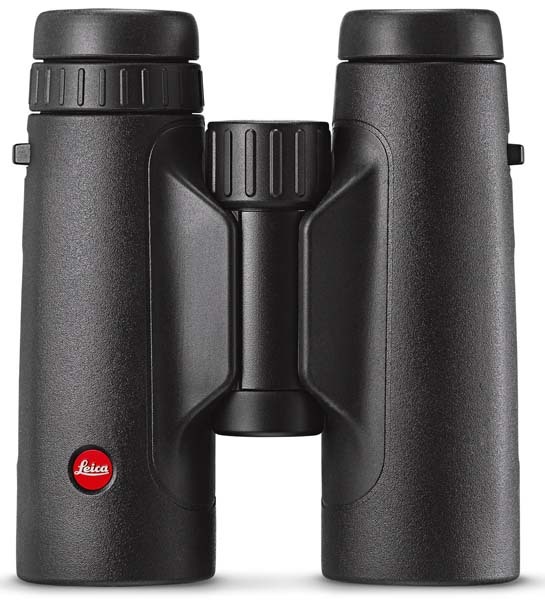 The new Leica Trinovid HD binoculars will be available at an exciting new price point from December 2015. Adventure strap, eyepiece cover, objective lens cover.